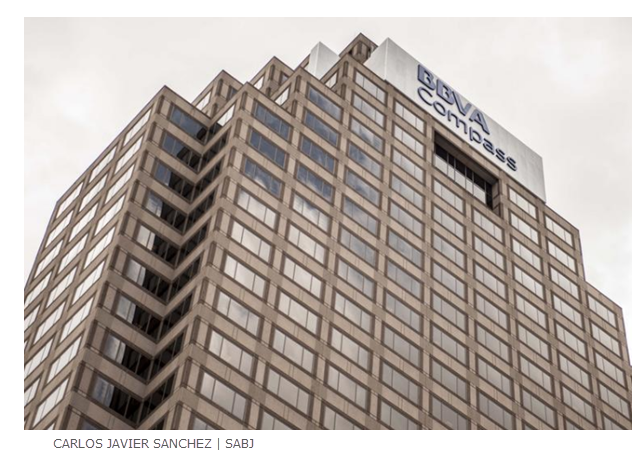 SAN ANTONIO – BBVA Compass, a Birmingham, Alabama-based financial institution, signed a lease for 9,600 sf on the first floor and 19,000 sf on the second floor of the Weston Centre. The company has renovated the retail banking space including more than six conference rooms for client meetings on the ground floor. The second floor, another 19,000 square feet, was also renovated for the company's local corporate headquarters. Construction and renovation to the tallest building in San Antonio cost at least $2 million and will become the new location for their clients in the city. The company move its corporate employees—more than 70—from offices in the Concord Building along Hwy. 281 near Basse Rd.​ to the downtown location.